Despite a coupe of un-seasonally warm days, it’s starting to feel like autumn round here. My evening walk with Nino is bathed in hazy light, it’s dark by the time that supper swings round and those 6am wake up calls? Like the middle of the night. 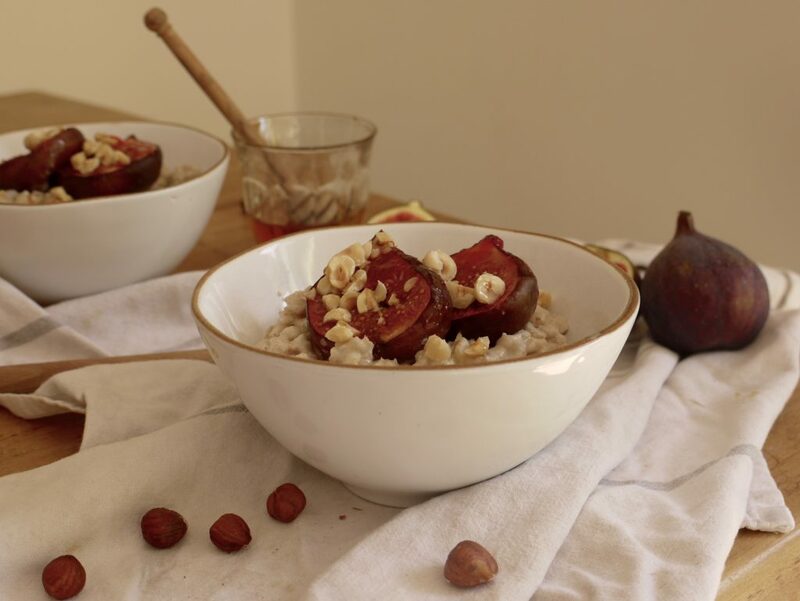 Comfort food feels like the order of the day and dark mornings call for warm breakfast bowls. 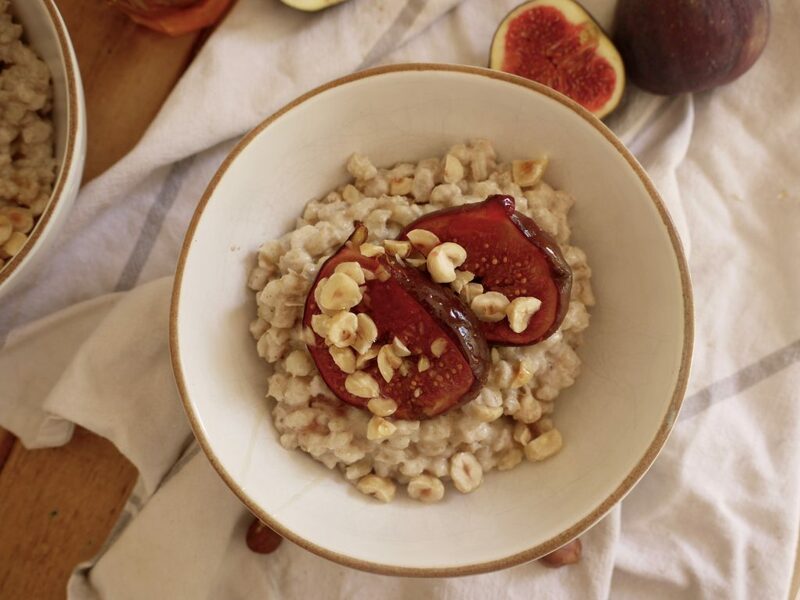 Nino and I tend to share blueberry porridge made with flaked oats and quinoa, dolloped with thick greek yoghurt and a spoonful of nut butter, but this week I’ve branched out and made a batch of creamy barley to last us several days. 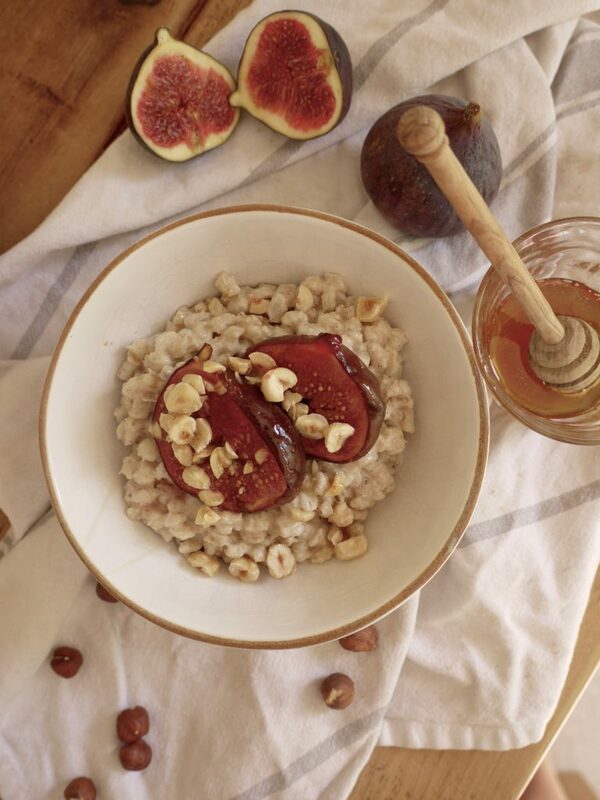 Cooked until tender with homemade hazelnut milk and topped with honey roast figs, this nutty grain makes for a delightful porridge substitute and one I’ll be making time and again in the months to come. Last Tuesday we visited the Royal Brompton Hospital for Nino’s check up. The doctors are thrilled with how he’s doing five months post operation, using the words ‘perfect’ and ‘miracle’. I’m not sure the latter is one that members of the medical profession bandy around lightly, so although it’s slightly scary to hear them say it, it’s obviously awesome news. We may have had our fears but our determined little fighter never really accepted that there was anything wrong with him or considered himself a cardiac baby. 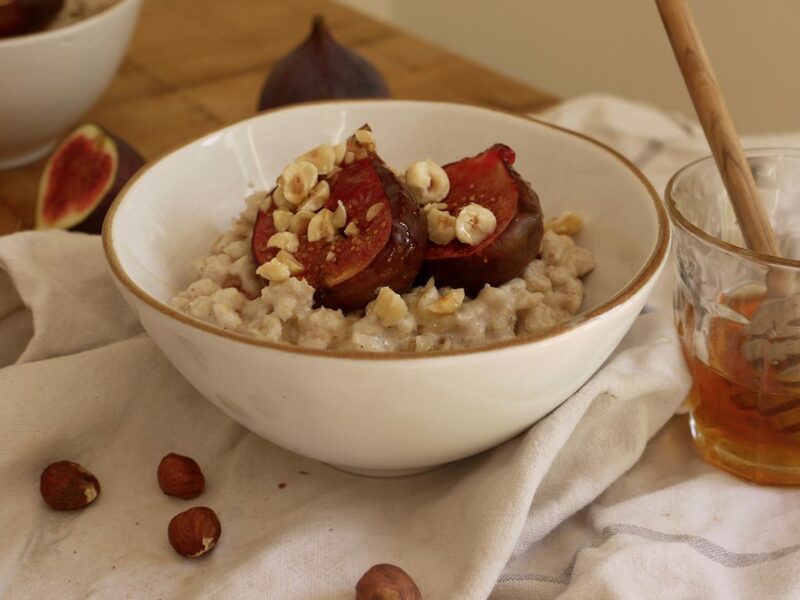 Nonetheless, in the weeks running up to our appointment, worry took its toll: I developed a two nasty styes in my eye and generally felt a little worse for wear, so comfort and and injection of vitality in the form of these creamy breakfast bowls was exactly what I needed. 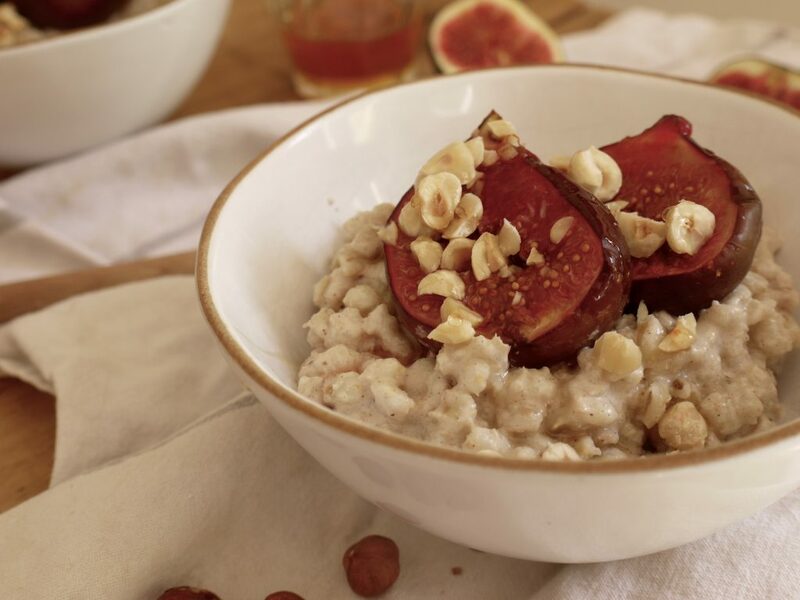 Whether you’re under the weather or celebrating some incredible news, mix up your breakfast this week and make these delicious barley breakfast bowls. Hello autumn. 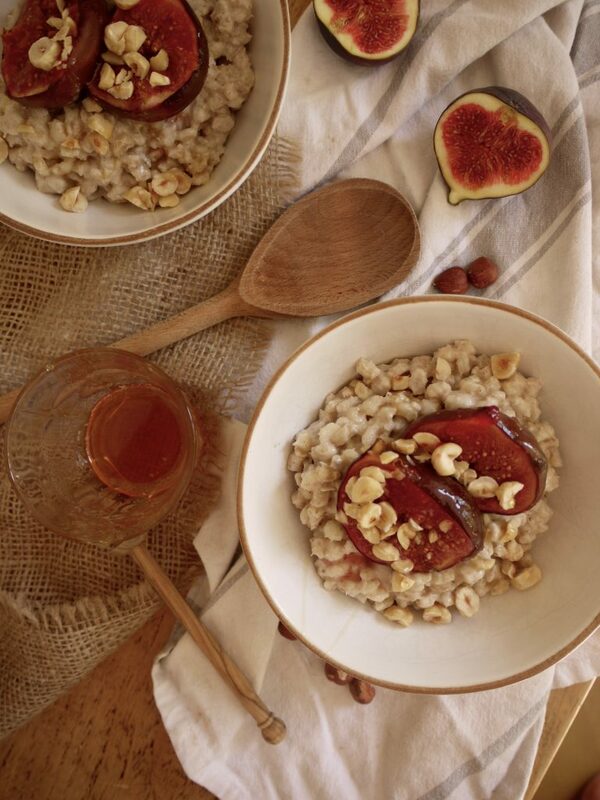 Get the recipe for Creamy Barley Breakfast Bowls with Hazelnuts and Figs.